Yucatan Today says that “Edible Destinations by Epitourean” at Hacienda Petac in Yucatán is exactly the trip you want to choose if you’re looking for a well-rounded, hands-on, cooking experience at an exotic, luxurious setting. 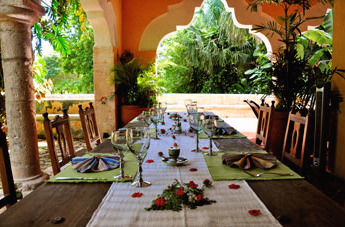 Privately owned and operated, Hacienda Petac caters to just eight cooking groups a year. 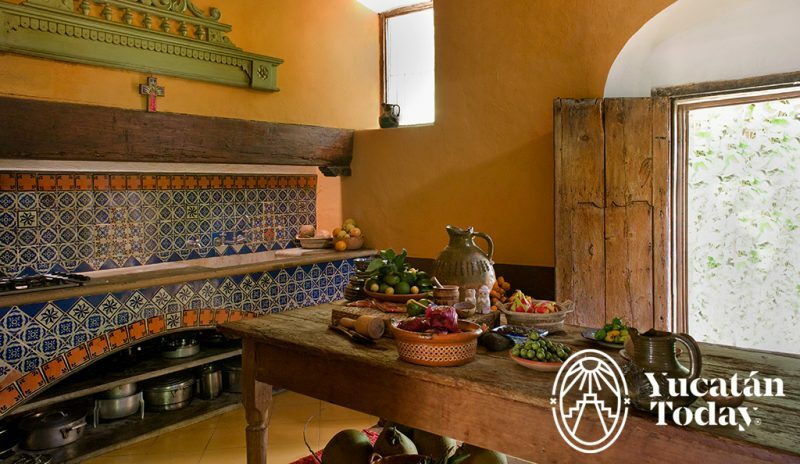 With up to 12 guests you will have six days of cooking tasty Yucatecan cuisine in their fabulous, Mexican tiled kitchen on a daily basis. Yucatecan cuisine is a melody of complex flavors that are really so easy and simple to prepare. Not hot or spicy like many Mexican cuisines, the ingredients are ones that you can easily get outside of México. 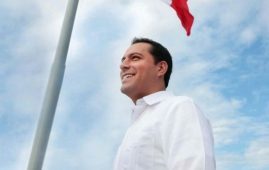 The experience at Hacienda Petac, while it does include daily, hands-on cooking classes, also includes time for an excursion to the huge, typical Mexican market in the nearby, vibrant colonial city of Mérida, and a day trip to the nearby Maya pyramids at Uxmal and Choco Story, the chocolate museum. Shopping can also be organized if that is what meets your fancy. Our group consisted of two friends from Mississippi, a couple from outside of Forth Worth, Texas, a technology woman from Virginia, two friends from Minnesota, and me, from Mérida, and “way back when” from Glen Rock, New Jersey. Avid amateur cooks, we learned new recipes for shrimp tacos and Mexican soups. Additionally, we mastered the technique for handmade corn tortilla making, learned how to roast and sweat poblano chiles, and learned more about cooking beans. We also learned some new tropical cocktails during the daily cocktail preparation classes, which were held just before cooking the evening meal. Learning to prepare an authentic margarita, a refreshing “paloma,” a tropical “hacendado” and an “alux” always made for some fun times as we got to know each other. In between the cooking, eating and taking some excursions, there is also “down time” to lounge around the pool, have a massage or mani and pedi at the spa, or just plain hang in a hammock and read a book. If you are looking to combine a hands-on cooking school experience in Yucatán with your vacation at a very reasonable rate, consider cooking classes at Hacienda Petac.